Place the sweetener and heavy cream in a saucepan. Add the water as well. Heat the saucepan but do not let it boil. 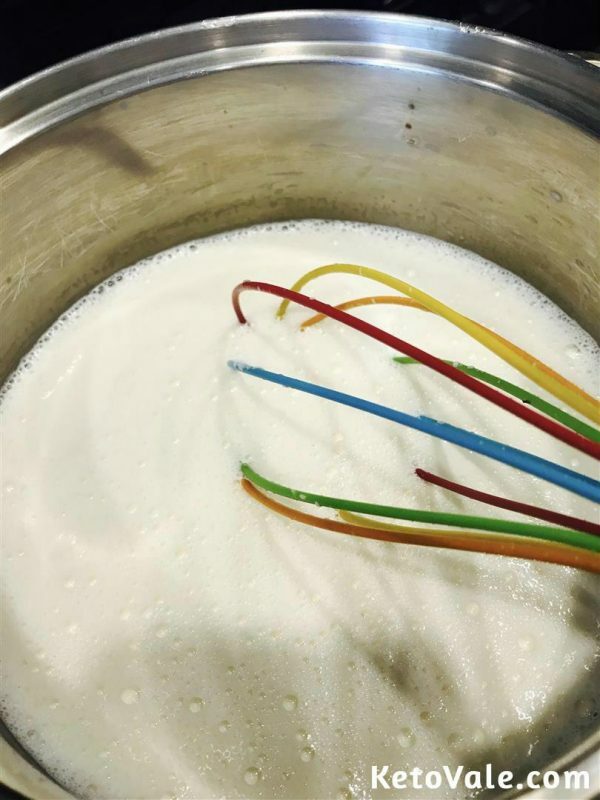 When the mixture starts to bubble and the sweetener is completely dissolved, turn off the heat and pour the vanilla or any flavor you prefer to the mixture. Follow the instructions in the gelatin packet to prepare it. 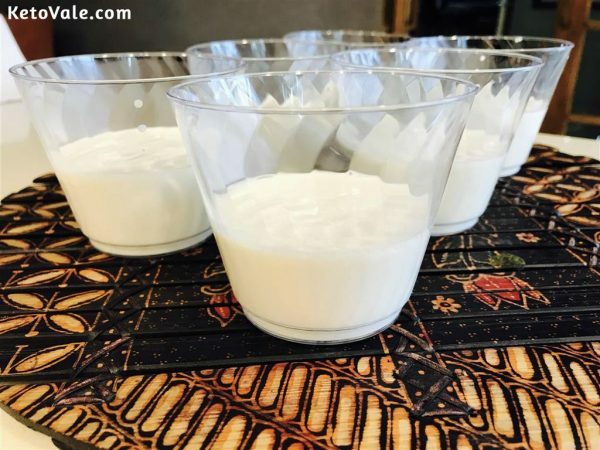 Gradually add the prepared gelatin to the heavy cream mixture while stirring to make sure no lumps form. Include the sour cream in the mixture and continue stirring. In my case, I placed the sour cream in another bowl and added small batches of the heavy cream through a sieve. After every batch, I stirred the mixture to combine. Repeat until all the heavy cream is poured. 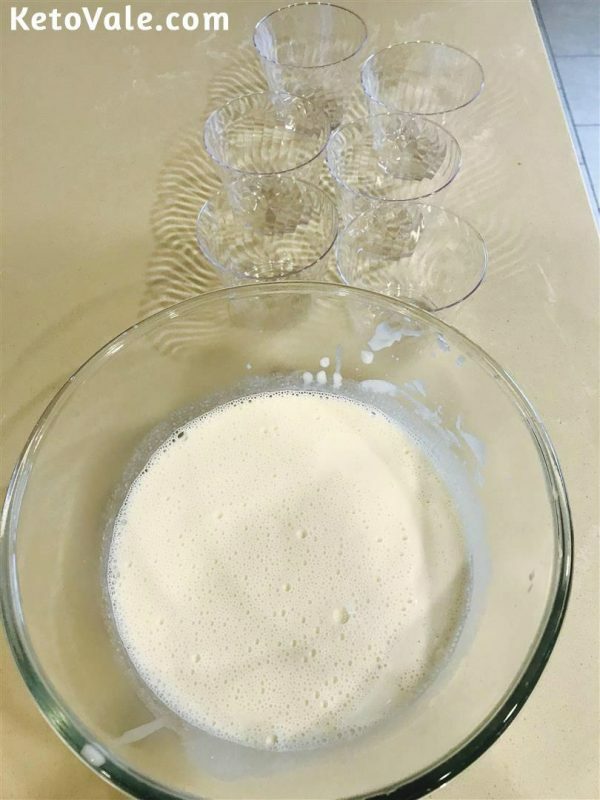 Pour the mixture in your forms. Distribute as evenly as possible. Allow to chill and firm up in the fridge for a couple of hours. Be patient to wait until the panna cotta is completely set. Optionally, top with a layer of berry’s jello and enjoy cold. You can follow the instructions below to make the jello. 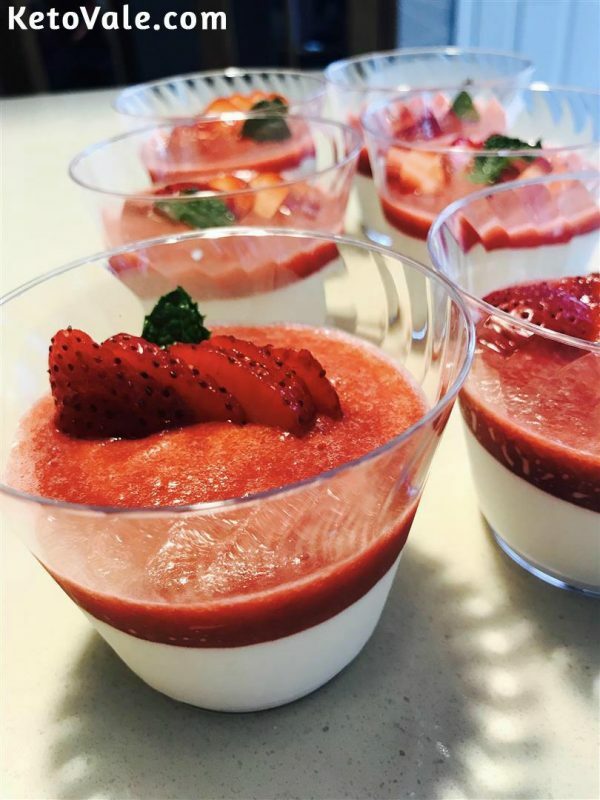 Once Panna Cotta is chilled and firm you can add a layer of berry’s jello. I made strawberry jello. Cook chopped strawberries with 1/3 cup of water and 1 tsp of Truvia. Bring it to boil and remove it. Blend it with immersed blender, ran it thru sieve to remove pulp and seeds. Pour it on top of chilled and firmed Panna Cotta. This way you achieve nice layering. Put it in a fridge to chill and firm. 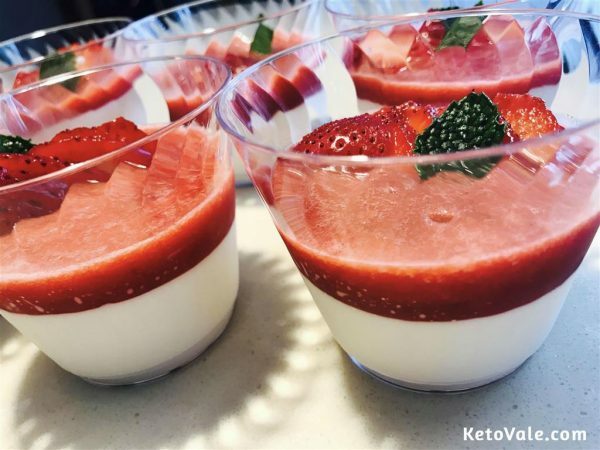 This Panna Cotta dessert recipe is a great treat for yourself, especially for family and friends in the weekend also. Make it and share with your love one. They will love it!